NOTE: The application period for the sixth certification training will be open from January 28th – February 22nd, 2019. Applicants will be notified of their status the first week in March. The cohort starts April 1st, with an online orientation on April 3rd. We will announce future open application periods as that information becomes available. Please join our email list if you would like to be notified about PEQA updates. Thank you. 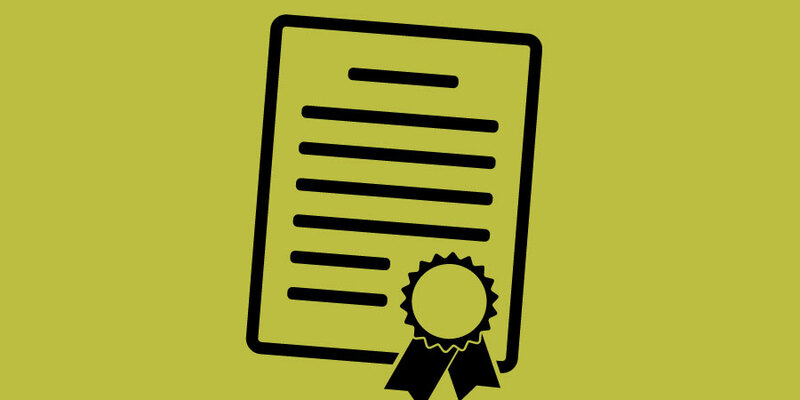 The PEQATAC has developed a one-year certification program Certification on Vocational Rehabilitation Program Evaluation and Quality Assurance that will result in increasing the numbers and qualifications of program evaluators and quality assurance specialists in State VR agencies. During this application period, there is the option to apply either as an individual or as a team of up to 3 staff from one State VR agency. The goal is to build on the knowledge and skills of training participants and to provide opportunities for incorporating practice into training. The training will be delivered using multiple modalities and in an accessible format. While ensuring accessibility, our online training content frequently includes video, audio, and interactive tutorials to avoid flat written content as the basis for the course and engage learners on a different level. What are the online courses like? This course was developed specifically for working professionals and focus on direct applications for your work. Courses are asynchronous, which means there are no specific times to login; you can work on the course when it’s convenient for you. They include hands-on learning activities and case studies to promote learning. You will have opportunities to interact with other training participants through written discussions and a course facilitator will be available to provide feedback and assistance. Content is often provided in various modalities such as videos and interactive Flash tutorials to appeal to different learning styles. Our online courses are developed with accessibility in mind and we regularly have participants with disabilities. All audio content is also provided in writing and in our course management system. Because it’s built using web standards, our online learning system, Canvas, runs on Windows, Mac, Linux, iOS, Android, or any other device with a modern web browser. Canvas supports the last two versions of every browser release. We highly recommend updating to the newest version of whatever browser you are using as well as the most up-to-date Flash plug-in. Note: Some supported browsers may still produce a banner stating Your browser does not meet the minimum requirements for Canvas. If you have upgraded your browser but you are still seeing the warning banner, try logging out of Canvas and deleting your browser cookies. Get help with clearing your cache. If you are using an unsupported browser, you can update your browser, or you can dismiss the warning banner during the duration of your browser session. For instance, testing centers can dismiss the banner and it won’t appear until the next browser session. Is Online Learning for Me? There are many benefits to online learning. For instance, you can work on a course offered in another state without having to travel, at your best time of day to learn. However, not everyone is aware that online classes can require a different level of motivation and self-direction than face-to-face classes. There often is no specific time you need to work on the course, whereas in a face-to-face class you know that you need to be there at a specific time on a specific day. If you do not make your course a priority, you can easily get behind. Make sure that when you sign up for an online class, you have allotted a few hours each week to work on it. If your employer is supporting your participation, discuss ahead of time whether your workload will allow you to complete the course in addition to your duties or if you will have to complete the course after work. If you may be working out of town, ensure that you will have Internet access so you can continue working or be ready to work on it over the weekend at home. I do not already feel overwhelmed with all of my time commitments (personal and professional). I usually do not procrastinate. I have convenient access to a computer and the Internet (preferably with a high-speed connection). My computer skills are at least average or I have support available. I can write typed messages without a lot of difficulty (physically or with assistive technology). I do not mind reading (visually or with assistive technology). I do not mind spending time in front of the computer. I do not mind asking questions by e-mail or phone when I have a problem. Here are some more advanced questions. If you answer yes to these, online learning should definitely be a good fit for you. I’m able to set my own deadlines and stick to them. I often think of what to say after a conversation has ended. I organize my ideas better in writing than in spoken conversation. I’ve learned how to do something from reading a book. I’m often on the computer and enjoy using it for leisure. I think that sharing my experiences with and learning from people all over the United States would be beneficial. Hopefully this quiz hasn’t scared you off from online learning! The goal of this exercise is just to make you aware of some of the concerns people have with online courses, but don’t realize until they’ve started. If now is not the right time for you to take an online course, check back later when your schedule is more accommodating. Participant selection for the certification program will be based, in part, on the considered recommendation of their employing State VR agencies. PEQATAC will begin accepting applications for the sixth cohort from January 28th through February 22nd, 2019. Applicants may apply either as individuals or as a team of up to three members and will be notified of their status during the first week in March. We will also share upcoming open application periods when they are scheduled. Join our email list to receive updates directly. Thank you.